Last month I published a Q&A with one of the dermatologists at Skin Resource.MD. Let me tell you, girlfriend learned a thing or two. One thing in particular that stood out to me, was inside the question about a daily skincare routine. 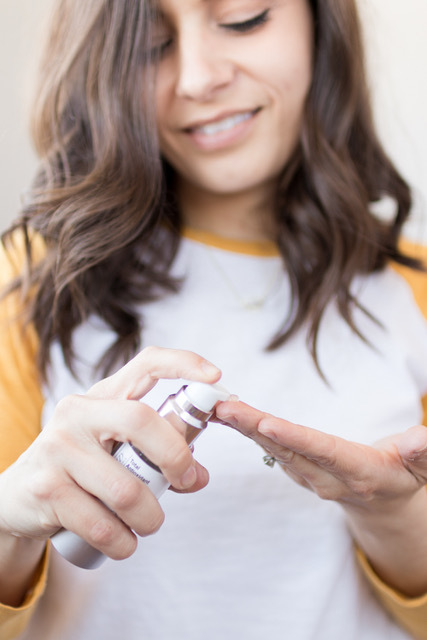 The doctor recommended, “putting a Retinol Serum on your skin, this will help lessen the appearance of fine lines and large pores on the face.” I read that and thought, Retinol – I’ve heard that word before – but what the heck is Retinol? So I started doing a little research. Starting of course, on the Skin Resource.MD website, I learned that Retinol is the antioxidant Vitamin A, which “stimulates the production of new skin cells which in turn will help reduce the appearance of fine lines, enlarged pores and can help with dark spots and acne as well.” I have fine lines, and dark spots – and I was intrigued. So I dug a little more. When you apply retinol, your skin turns it into retinoic acid at a cellular level, which promotes cell turnover, and increases collagen and elastin production. Basically, retinol helps generate fresh skin, so that means less dark spots, fine lines, wrinkles and even acne. I gathered that you can use products with retinol in them, or you can go straight for the stronger retinoic acid products (by prescription). However, I also learned that retinoic acid, while it may show results faster, can also cause sensitivity and skin flaking. According to this article, they essentially will do the same thing, but it will take longer to see results with retinol vs retinoic acid. There are also products that contain retinyl propionate, the even gentler (but maybe weaker) version of Vitamin A. So apparently it’s a common misconception that retinol is an exfoliant, which is why some people experience redness and flaking when using it. However, that is due to the cell turnover and shedding of dead skin. I read that you can power through it (and your skin may adjust) or you can use a less potent product. Retinol, although it reveals beautiful fresh skin, it can also make your skin more sun sensitive, so you should wear at least SPF 30 daily. So, what product have I been using? 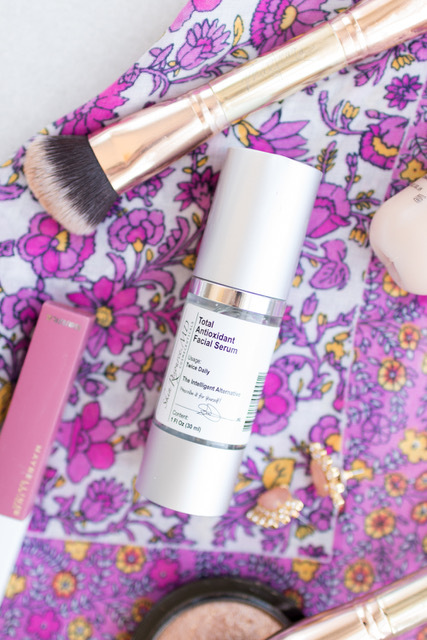 I’ve been using the Total Antioxidant Serum for over a year now, and didn’t even know I was using a retinol product! This product contains retinol, along with several other skin nourishing antioxidants. I’ve used it both morning and night (the silky texture is great under makeup). After reading through the answers on my Q&A post, I’ve started to use it only at night, after my moisturizer. The serum goes great with Baobab cream, another antioxidant rich product. Post sponsored by Skin Resource.MD, all opinions are my own.